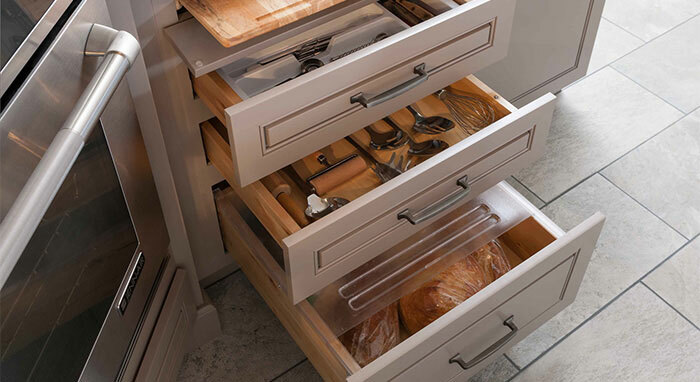 When homeowner Andrea pictured her dream kitchen, she envisioned a relaxing space filled with beautiful cabinetry in a soft, calming tone of taupe. 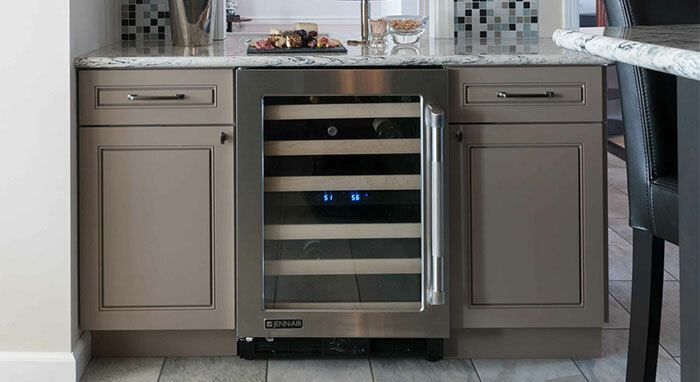 Her designer, Maria Stapperfenne of Tewksbury Kitchen and Bath, also caught the vision and knew exactly how to make it a reality for Andrea and her family. Within just two short hours of talking, dreaming, and planning, they were able to create a classic color palette with a touch of modern by layering coordinating hues based primarily around the cabinetry choice. 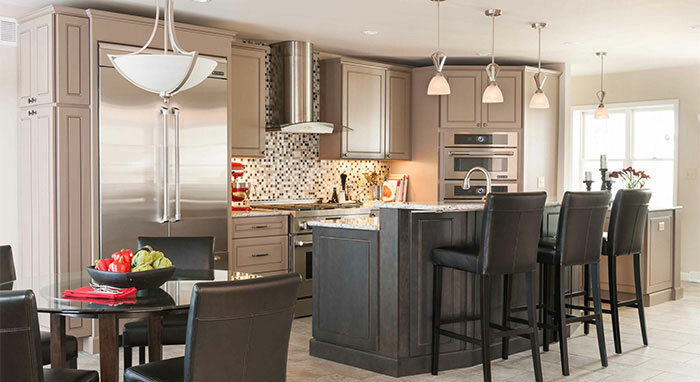 Andrea selected a timeless maple wood cabinet door style called Anden by Diamond Cabinetry. Desiring to draw attention to the cabinet door style's simplicity, she chose to showcase the cabinets in two different colors: the soft beige, which Andrea originally visualized, called Sand Dune, and also in Storm, a dramatic, stony gray finish. 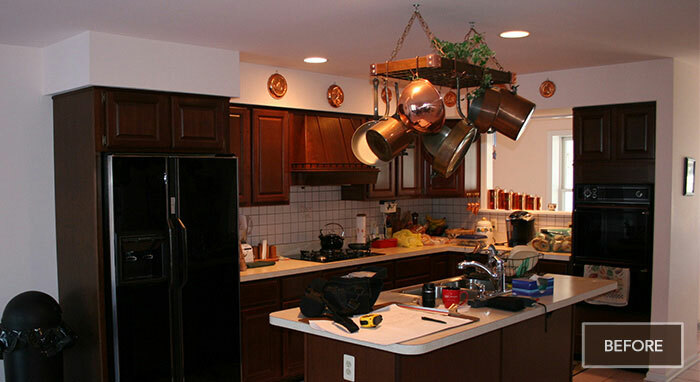 The original kitchen, installed more than 20 years ago, was practical and served its basic purpose, but Andrea and her family wanted an updated kitchen design to make it the gathering spot the family would enjoy using. 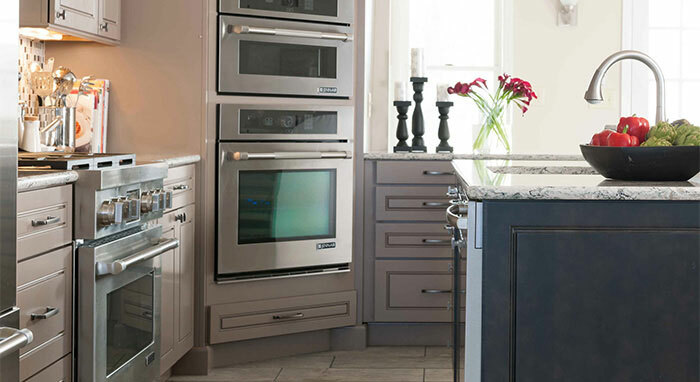 Since the renovation, the kitchen has become the hub of the home and now even Andrea's husband and two sons love spending time there, especially around the large new kitchen island. "We just didn't use the kitchen like we do now," Andrea said. "We are constantly at the island bar working, doing homework or just surfin' the web." 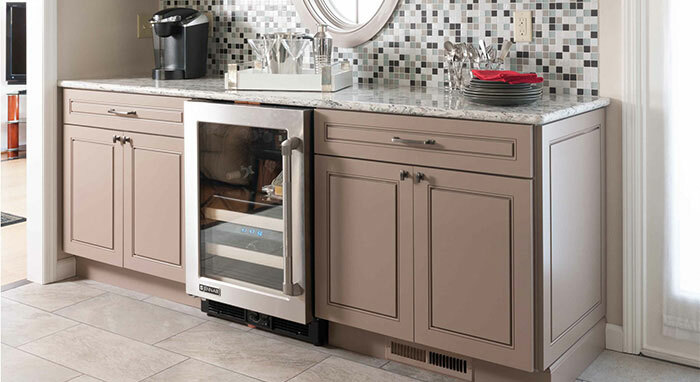 Andrea wanted her renovated space to be effortless, yet still efficient, so she worked with the designer to incorporate extra functionality by adding abundant storage capacity, a cabinet just for trays and large platters above the microwave, a conveniently placed spice rack, and even a message center for keeping up with family activities. 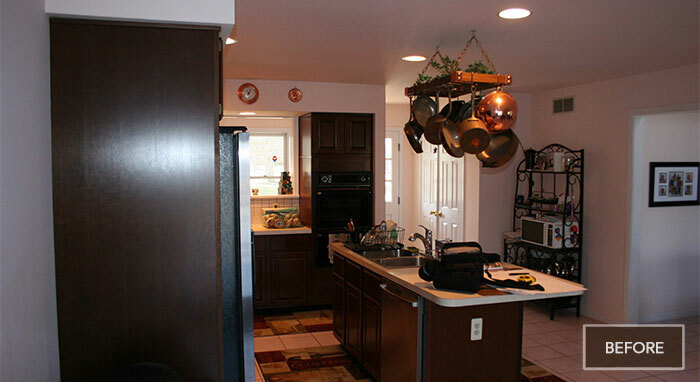 The end result is an attractive, one-of-a-kind kitchen, and Andrea and her family are thrilled. 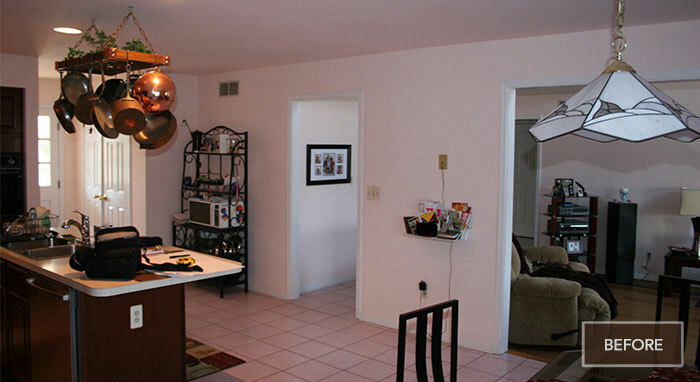 "I wanted to see something original and unique to me," Andrea said of her renovated kitchen. Tewksbury Kitchen and Bath, a division of Huston Lumber & Supply Co.
Getting started - "I had never done a remodeling project and quite frankly it required me to 'get myself prepared' for the process."